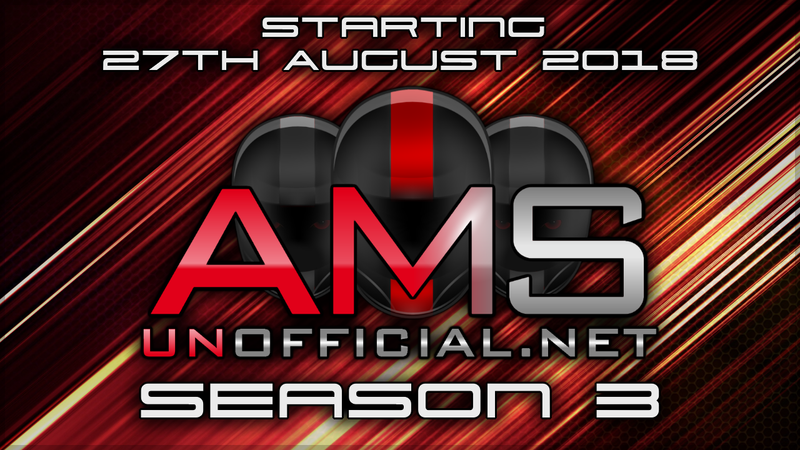 27th August 2018 marks the start of AMS Unofficial's 3rd Season. 3 series 6 race mini seasons. Championship points awarded and logged via our website. Our races/championships are open to all, no password, no paywall. Join and race hard with respect is all we ask.